We’re brightening up your Tuesday with a bit of sunshine dreaming… Because why not? 😉 We’re in total summer mode and focusing on some of this season’s most fabulous sandals. 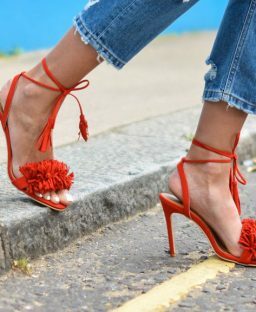 So whether you’re a fan of the colourful pom pom styles or love the super chic lace-up versions, there are SO many sandals to suit your style whether it’s with jeans or a pretty summer dress. We particularly love the Aztec embroidered heeled sandals from River Island – how chic? What sandals would you choose?